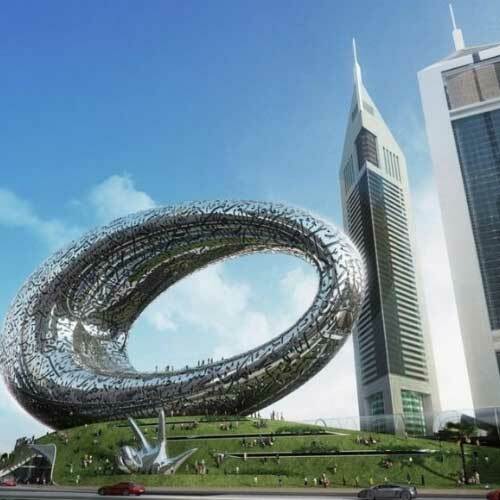 Dubai is Everything Glamorous, innovative, Bling and grandiose. 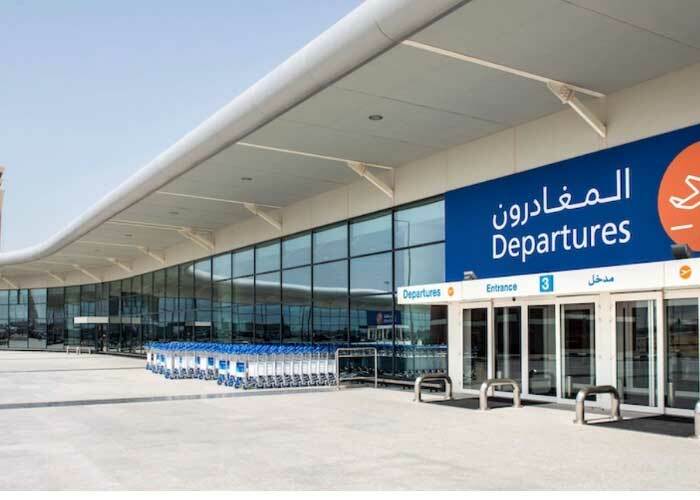 upon your Arrival at Dubai international airport after completed airport customs and immigration formalities . After proceed to transfer your hotel. check in hotel spend the day at leisure. overnight at hotel. Post a hearty breakfast at your hotel, leave for a Dubai city tour. Visit Burj Al Arab Hotel - the world’s only seven star hotel and the Atlantis Hotel, nestled atop the crescent-shaped Palm Island. Another notable attraction among the best places to explore in Dubai is the stunning Jumeirah Beach. Laze around or take a dip in the warm waters. 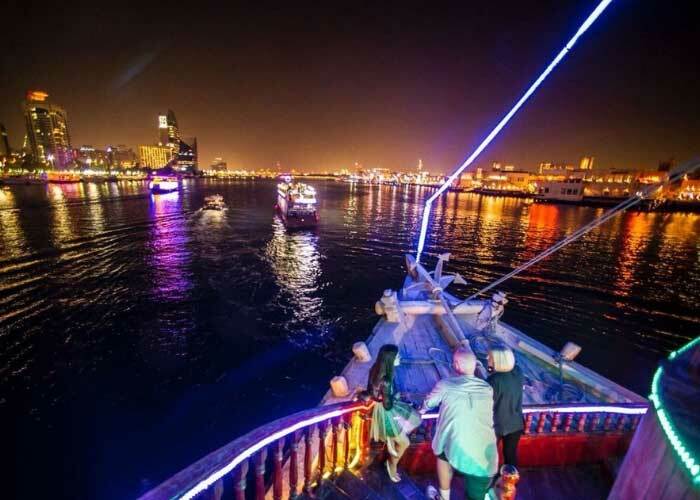 in the evening enjoy romantic Dubai Dhow cruise dinner. • Cruise on a traditional vessel. 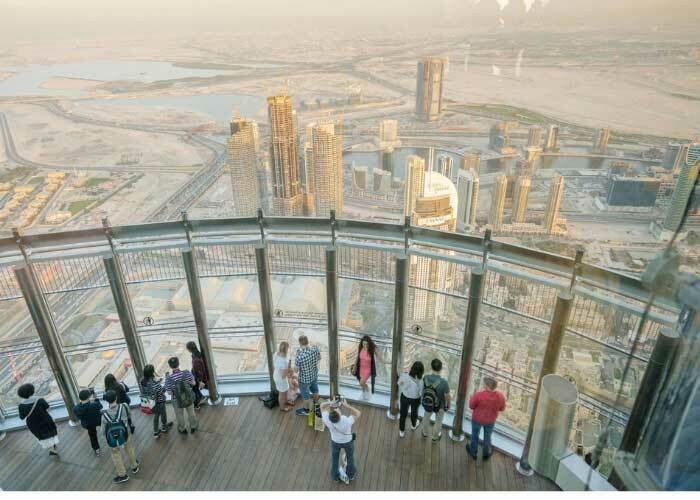 • Enjoy wonderful view of the Dubai skyline. • Enjoy a sumptuous dinner of international cuisines on board. After back to hotel. overnight at hotel. 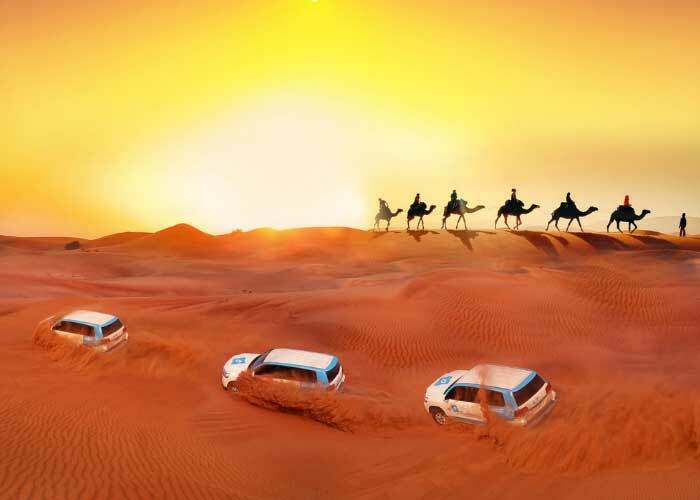 Post breakfast spend the sometime in hotel after go for the Desert safari your tour begins with an unforgettable roller coaster drive in the desert skimming over the magnificent sand dunes. Amidst all the fun and action stop for picture while the tour heads towards ali”s camel farm for a short visit. take some time out to relax in the Arabic tents furnished with carpets and pillows for your comfort or chill out bt the campfire get a henna tattoo, experience an unforgettable camel ride, view the Tannoura dance show and an exotic belly performance under the campire – so much and more. after back to hotel. Overnight at hotel. Today ,after breakfast spend the day at leisure. In the evening enjoy Dubai Aquarium & Underwater Zoo is one of the most captivating attractions in Dubai. Located at The Dubai Mall, the largest mall in the world, offering a memorable journey into ocean life. 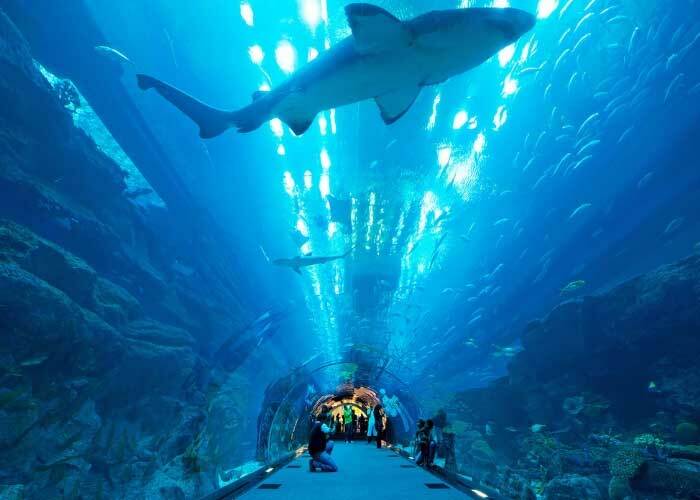 With capacity to hold 10 million litres of water, Dubai Aquarium is one of the largest indoor aquariums in the world and it illuminates the marvels of the ocean floor, showcasing one of the most diverse collections of aquatic life. Located just above the aquarium, Underwater Zoo brings visitors up close with penguins, piranhas, crabs, water rats, sea horses, jellyfish and plenty more. One such exhibit, 'UAE's Night Creatures' presents the experience of nightfall in the desert as creatures of the dark. back to hotel Overnight at hotel. Today Awake to a pleasant and indulge in a heartily breakfast at your hotel after proceed to enjoy Dubai shopping market after some time back to hotel check out the hotel. then transfer to Dubai international hotel back to india. Personal Expenses Such As Laundry Charges, Telephone Calls, Camera Charges Etc. Anything Not Mentioned In “Package Inclusions”.